Overwatch’s newest hero, released onto the test server yesterday, is a well-rounded hybrid character whose extensive skill set is a delight to play, and to play with. She’s the turret-maker Torbjörn Lindholm’s daughter, a born mechanic who, later in life, traveled alongside the shield-knight Reinhardt. Brigitte takes a Reinhardt-like shield, Torbjörn-like armor and a rocket flail—likely, her own touch—into the field to protect herself and her teammates. She’s got a lot going on, but it gels to make a tactical support hero who can glue together a traditional team composition and, in certain circumstances, tank. Playing her on Overwatch’s public test realm, Brigitte was remarkably easy to pick up. What makes her special is her ability to bolster damage-dealers by dealing damage herself. Her rocket flail, which packs a punch, boosts nearby allies’ health when she attacks with it. It’s a medium-range melee weapon that can hit a bunch of enemies at once. When she wants to distance herself from enemies, she can toss out her whip shot, a long flail attack that knocks enemies away. When she’s not attacking with her flail, Brigitte can shield herself and anyone directly behind her with a 600-health barrier, and also shield-bash enemies, momentarily stunning them. She’s also got a ranged healing ability that tosses a good 150 health at an ally—and if they’re already at full health, they receive 75 armor on top of that. 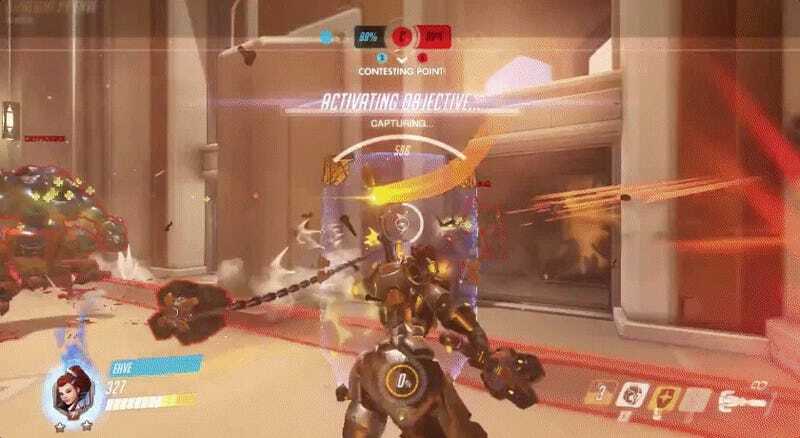 Brigitte’s ultimate ability, Rally, is a lot like the hero Lucio’s: Proximate teammates receive armor and a speed boost. It’s great to stack with another ultimate ability when your team is pushing onto an objective. 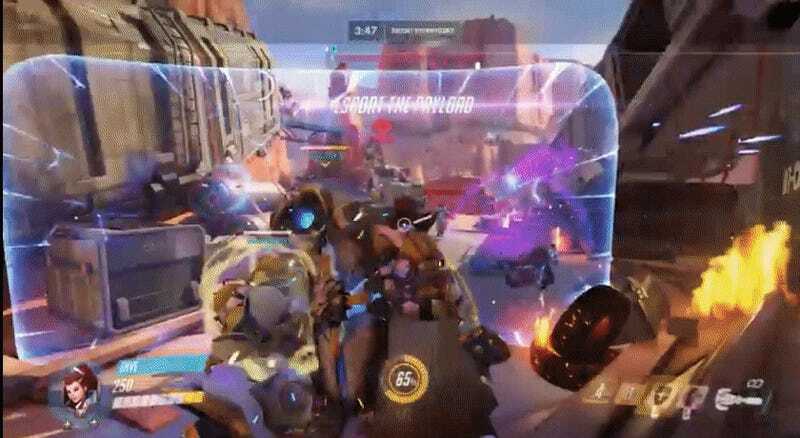 There’s a cycling of moves that happens when you play Brigitte. I loved chipping away at enemy DPS heroes with my rocket flail before stunning them with a shield-bash and whip-shotting them away. After that, a teammate could finish them off, with Bridget healing them if they took damage. 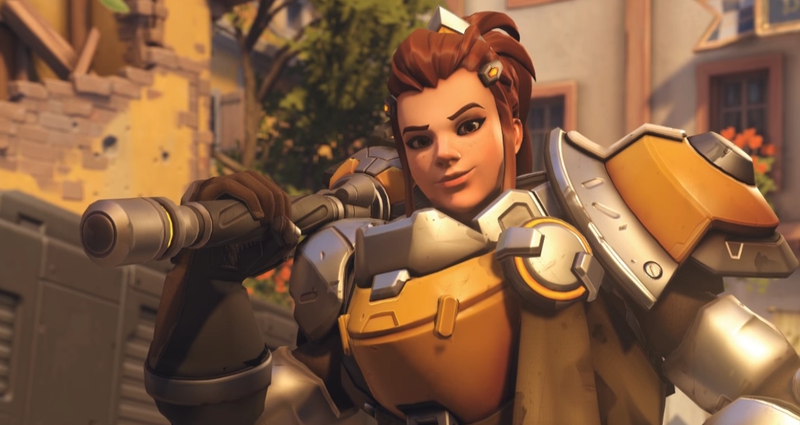 By strategizing around savvy combos and team plays, Brigitte’s sprawling toolkit feels more enterprising than unfocused. 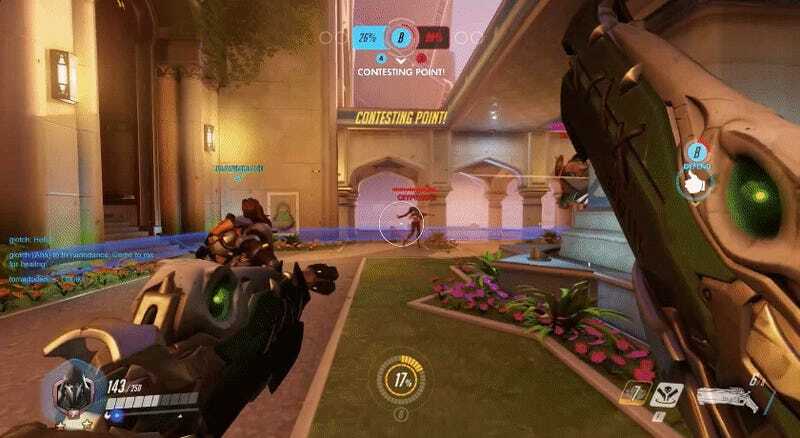 Brigitte thrives as the center of a team that’s attacking and defending together. So, a little cutely, she’s great to play alongside a Reinhardt, whose melee weapon can also hit lots of enemies at once when he’s not shielding teammates. Fighting from behind a Reinhardt’s shield, Brigitte can heal tightly-clustered allies, supporting squishy DPS heroes’ attacks with healing boosts. Once, when an Ana nano-boosted me, I took out four opponents while healing a Roadhog, who was mowing down enemies with his ultimate ability. And yet, I see room for Brigitte as an ally to flankers, too. She’s also great at supporting one or two heroes as they sneak alongside enemy lines or prepare a big, game-changing ultimate attack. Playing Reaper, I followed Brigitte around the map and took out a handful of enemies from behind her shield. Overwatch keeps getting its support heroes right. We haven’t seen a straight-up, pure healer since the game was released. That’s actually great. Adding in these hybrid support heroes like Brigitte is forcing players to coordinate big plays and helps gel together tight pushes into enemy territory. They’re wickedly fun, and a smart way to get players to work together.